Starwars enthusiast can now smile with relief. The latest Xbox 360 will come with starwars themed. The first noticeable appearance is the appearance of the robot R2-D2 on the latest Xbox 360 machines. By using the dominant colors of white and blue, make the Xbox machines look like R2-D2 robot replica. 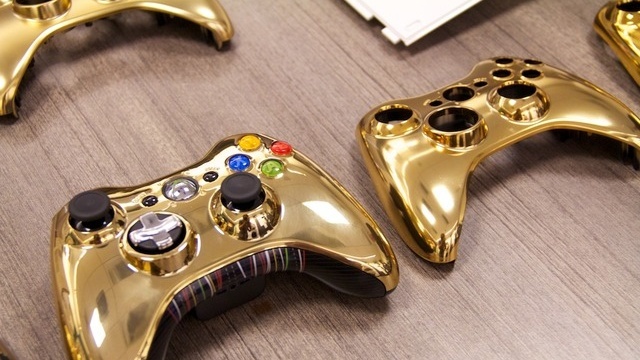 Next is a controller that mimics the character of C3PO robots are golden. Xbox chief designer, Carl Ledbetter choose a character robot R2-D2 and C3PO with a variety of reasons. "Wearing a Darth Vader character will not make sense," he said. Therefore, he finally dropped the option to the two robot characters that always appear in every episode of star wars is. At first glance, if you see the appearance of R2 on the Xbox will probably feel a little awkward. 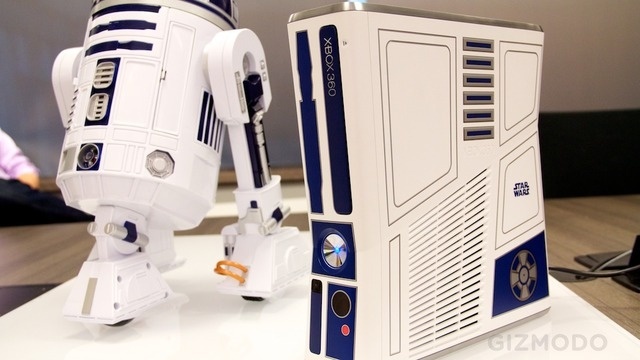 This is the R2-D2, but it also is an Xbox. Which is correct? You may feel confused. At the front of the machine, there are eyes R2, and also there is the Xbox power button. There is also an arm of R2 which is located next to the disk that reads "Xbox 360." If the disc is opened, it will sound mucnul R2 contained the words "Help me Obi-Wan Kenobi, you're my only hope."